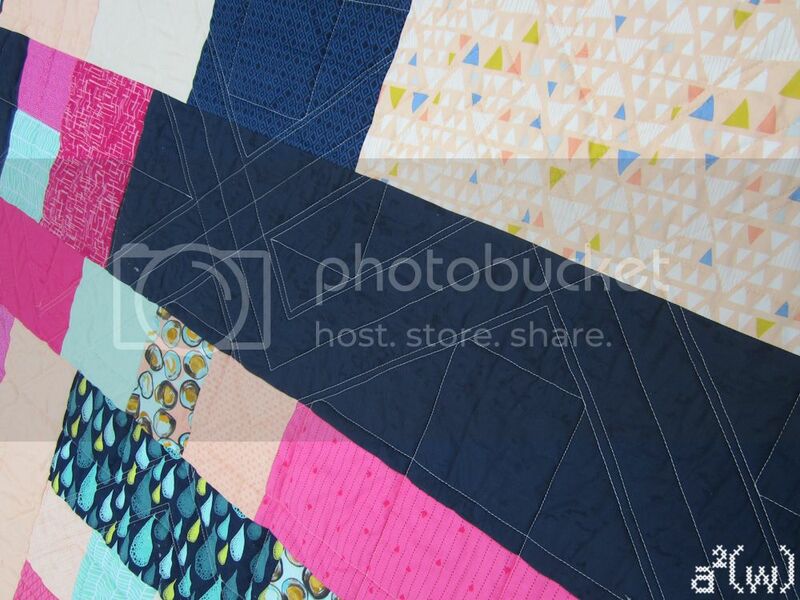 a²(w): Quilt Lab: A free little pattern! 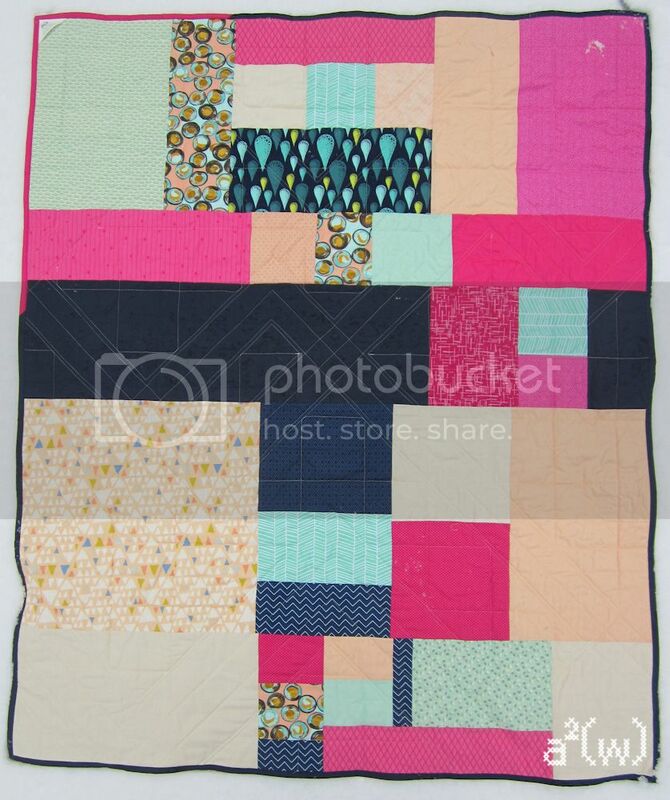 Quilt Lab: A free little pattern! If you've read Quilt Lab you may have noticed that most of the graphics in the Design Process chapter are for a quilt NOT in the book. Maybe you didn't notice. Doesn't matter! 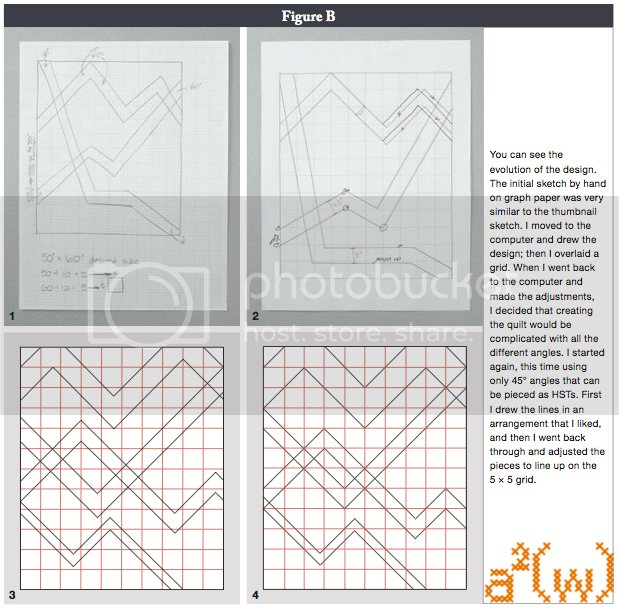 I had always inteded to write up this pattern as a freebie companion pattern. 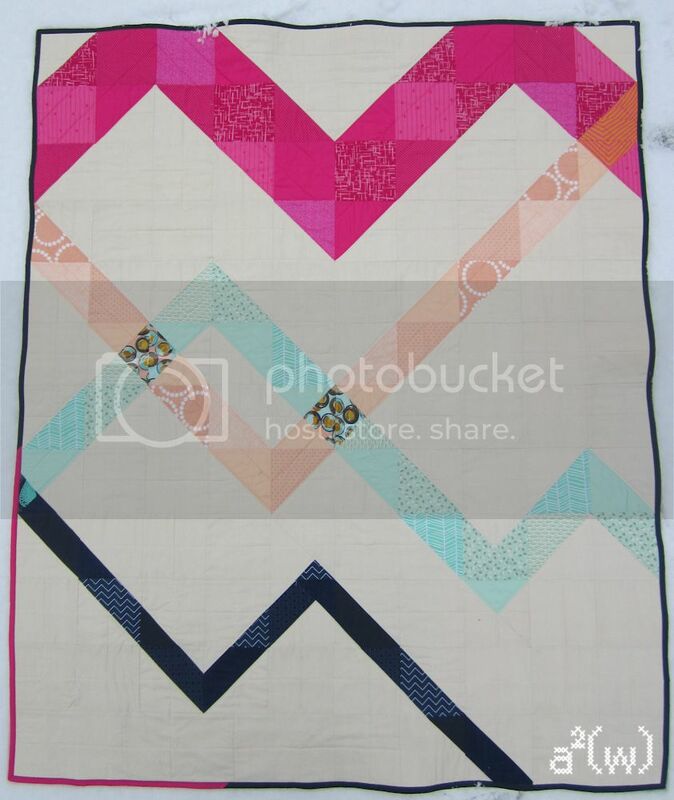 And since it is all done with angles (mostly HSTs) I thought that would be a good time to unveil it! I actually made a few tweaks after the book went to press - it's an evolving process, like I say in the book. ;) Nudgeing a line over a teeny bit made construction so. much. easier. I didn't want to put any fabric away so I used ALL the scraps on the back! You can kind of see the quilting. There is a grid in the background and the angles are echoed.